SHEEP and cattle handling standards need to include areas of separation between livestock and people in yards to improve worker safety, according to Victorian farmer leader Leonard Vallance. The Victorian Farmers Federation Livestock Group president said there needs to be complete separation between livestock and people in the loading ramp and forcing yard areas of cattle. “With sheep, there should be partial separation, particularly on the ramp itself. At the recent St Arnaud Merino Gold update, Mr Vallance said although it was not as much of an issue in the sheep industry, ramp safety in the livestock issue is a massive problem. “We’ve got farmers who have ramps that are sub-standard and they are no longer operable, or they were designed so badly they are actually unsafe to use. Mr Vallance said there is a court case dealing with the death of a Midfield Meat worker loading stock in cattle yards. 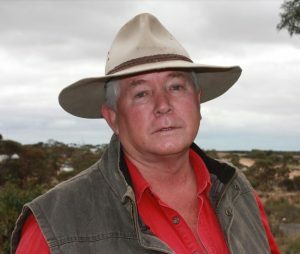 Midfield Meat buyer Pat Smith was killed by a steer on a Dunkeld property in December 2017. “It has only got to happen once and that’s once too often. “The industry wants to do something about it,” Mr Vallance said. The VFF is developing a program with industry, but still discussing whether ramps should be inspected and accredited, or standards revised. “We need a lot of feedback from farmers about what we should do about getting rid of the sub-standard ramps in our industry. “Just remember if a truck turns up at your place and the truck driver is loading on his own, without you being there, you are fully responsible for any injuries to that truck driver – no-one else is, you are. “His employer will have some responsibilities, but if he is an owner-operator and on your property, you are legally liable for whatever injuries that occur,’ he said. “I’m sorry, but I don’t understand the farmers who are not there when stock are loaded on a truck. “They think that the truck driver should load them on his own, but that is no longer acceptable in the industry,” Mr Vallance said. “You have to be there to do the paperwork anyway, so why not be there to help the truck driver? “Make sure that someone is there to ensure the stock are loaded safely and that the driver leaves safely – you really are playing with a minefield if you are not doing that now,” he said. “It is a serious issue and it will be a critical point when the judge passes judgement in that court case at the moment. Mr Vallance said the carriers are “sick to death” of being forced to deal with poor quality ramps in dangerous conditions. Vice president of the Livestock and Rural Transporters Association John Beer said there were currently only guidelines for livestock ramp and forcing yard design, but work had started on standards at a national level. 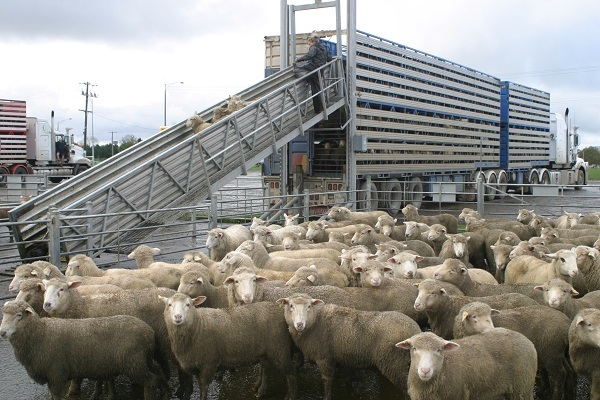 He said Standards Australia has established a committee to look at the safe design of livestock ramps and forcing yards, following the death of truck driver Chad Lynch at Frewstal’s Stawell plant in 2013 due to a ramp collapse while loading sheep. Mr Beer is chairman of the Australian Livestock and Rural Transporters Association’s animal welfare committee, which will also be working on a new standard for livestock ramp and forcing yard standards. Mr Beer said the struggle to improve industry standards had been frustrating and a lot of livestock yard designs coming to the country still did not have exit gates or catwalks. He said there should always be two people on hand to load stock – the carrier and the owner or their representative. “You are still expected to climb six foot high fences and if you are loading seven pens into a truck you are expected to climb the fence seven times, well them days are gone. “You can see lambs making over $200, so why do they expect the truck to turn up and load them up the ramps four decks into a truck, go and buy one of these mobile ramps that put them on the third deck, it’s a lot easier and safer for everyone,” he said. “I’m all about the younger people coming into the industry, do they need to be smashed up? No, they don’t. I used to be a truck driver and I think this is a excellent idea, as I remember loading and unloading in the middle of the night with no-one around for miles, so bring it on.